Many medicines used to treat chronic diseases are breakthrough treatments that often prevent disability, save and improve lives, and allow patients to function and remain in the workforce. 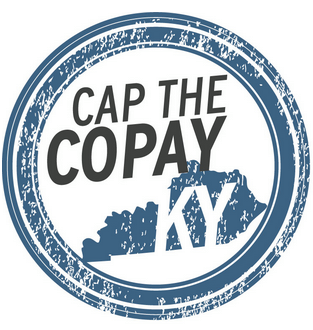 Unfortunately, certain insurer practices, whether they are referred to as “co-insurance” or some other name, threaten to put medications financially out of reach for many Kentuckians as they shift the cost of medicines to consumers. These practices go against the basic premise of insurance and are causing average insured patients to under utilize necessary treatment by skipping doses, or go without their treatment entirely. This is simply not acceptable for the thousands of Kentuckians suffering from chronic diseases. It’s time to Cap the Copays! Kentuckians need protections from insurance company policies that unfairly burden patients with a higher-percentage of the cost of their medicines. It is time to pass legislation that will protect patients from disproportionately high medication cost-sharing; limit what insurers can charge a patient for a 30-day supply of single prescription. Capping the highest co-payments for medications distributes pharmacy costs more fairly between enrollees and insurers. This is a win-win situation for Kentuckians and the overall health of our Commonwealth. Ensuring access to health care for all Kentuckians is a noble and important goal but we must also make sure they can afford it. Have you or your family been affected by high co-pays or coinsurance on your prescription drugs? If so, we'd like to hear your story!